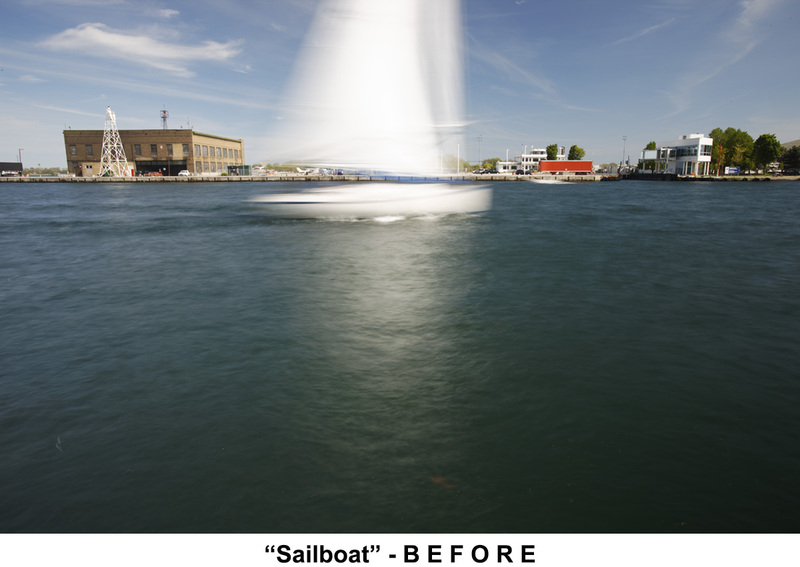 A sailboat travels the Western Channel opposite the Toronto waterfront on a spring afternoon in 2008. 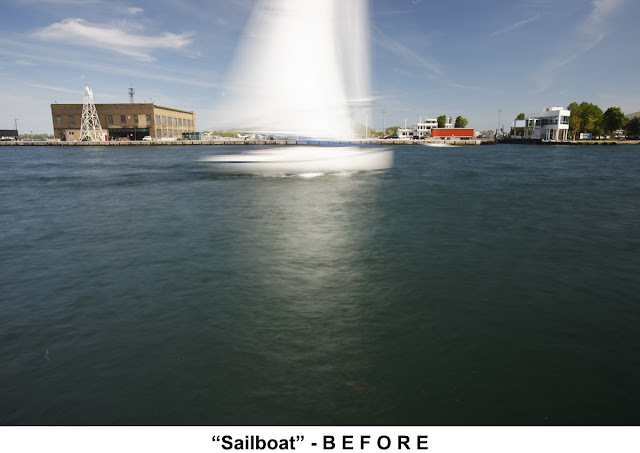 I set my shutter speed to 1.6 seconds to blur the motion of the boat and pointed my wide-angle (24mm) lens slightly downward to fill the bottom two-thirds of the frame with water. Working with wide-angle lenses is tricky where perspective distortion is concerned. Tilting the lens downward made the buildings in the background of the BEFORE image appear to lean away from the center of the frame. I straightened the image with a perspective correction. 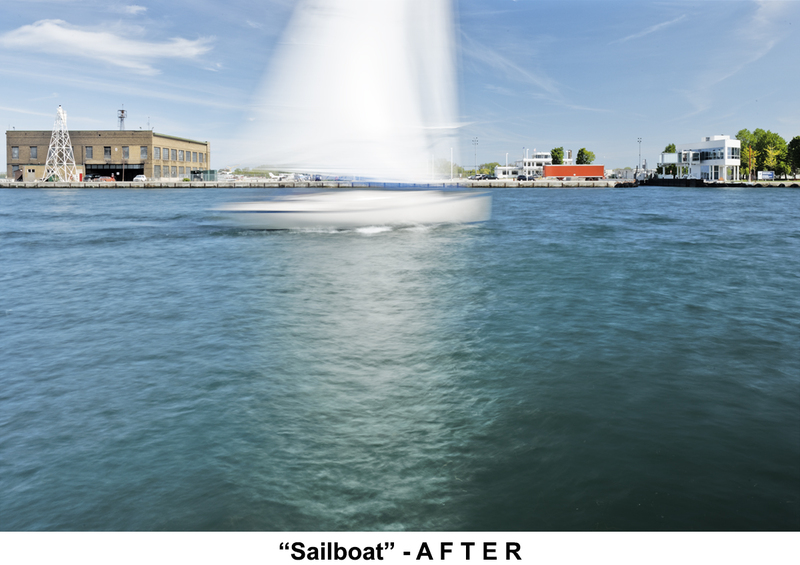 I wanted to brighten the water while preserving contrast between the very bright reflection of the boat and the darker surface of the water. It is usually the case in photoshop that there is more than one way to achieve any given result. Here, I decided to apply a "shadows/highlights" adjustment. Caution: the shadows/highlights tool has to be used with great care. I find many images that look obviously and unappealingly "photoshopped" get that appearance from heavy-handed application of shadows/highlights adjustments. The BEFORE image has a color cast - notice the magenta tones in the sky. I corrected this with a color temperature adjustment of the RAW file.